Christ the Redeemer of Rio is located on Mount Corcovado, in Rio (Brazil). It is a large art-deco statue built in the 1920s by Heitor da Silva Costa, winner of the contest organized for its construction and Paul Landowski, designer of the statue itself. If these two people dispute the paternity of this monument it is of good war, one being the promoter the other the director, but one can say that both were necessary for this project to be born. Christ the Redeemer is the largest art deco statue in the world. It is 30 meters high, plus 8 for the base. The statue weighs about 635 tons, 1,145 tons if the base is counted. It is located in the national forest of Tijuca Park, at the top of the Corcovado mountain. 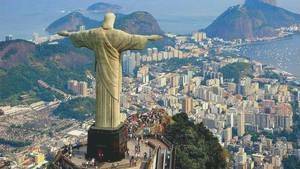 The statue is considered a symbol of Rio de Janeiro and even of the whole of Brazil. Christ the Redeemer is the 5th biggest statue of Jesus in the world. The first project to build a large religious monument was proposed in the 1850s by a Catholic priest Pedro Maria. The request for funding was not approved because Princess Isabel did not support this idea. 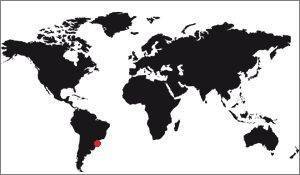 The request was officially refused in 1889 when Brazil mandated the separation of church and state. But a petition launched by a group in the 1920s, called the Catholic Circle of Rio, was a success. Construction therefore began in 1922 and took nine years to complete. The money to build Christ the Redeemer came from the Catholic community of Brazil. The initial model was not the one that was actually made. He represented Jesus holding a globe, standing on a pedestal that was to symbolize the world. The chosen statue is intended to show that Christ loves everyone and welcomes all who come to Him. The statue was completed in 1931. It was officially inaugurated on 12 October 1931. The cost in 1931 was about $ 250,000. Today it would be roughly $ 3.2 million. The statue was built by stretch by train to the top of the mountain. It was built of concrete, an innovative material for the time that required the intervention of a French specialist. In 2008, the statue suffered severe damage to the head, eyebrows and fingers caused by a lightning strike. The exterior cladding prevented more serious damage because it acted as an insulation. Christ the Redeemer was vandalized in 2010 by a house painter. He had tagged his head and right arm with graffiti. In 2003 the historic stairs were doubled by mechanical escalators and elevators. They have enabled disabled people to access the platform that surrounds Christ the Redeemer. This statue became one of the Seven New Wonders of the World on July 7, 2007.